The human growth hormone (HGH) injectable medication Saizen has many benefits including physical ones, emotional ones, mental ones and sexual ones. There are many symptoms that go along with depleting hormones due to aging. Which ailments a person will experience is something that cannot be determined until they occur. Our 100 percent pure, bio-identical, authentic and real medications, including Saizen can combat the aforementioned issues. This medication can offer a new life to those dealing with the ailments of growth hormone depletion. Our medications can be trusted as being real and for creating positive results when on a prescribed and medically supervised hormone replacement therapy (HRT) program. Our doctors are amongst the best in the nation, as are our clinical advisors. Feeling great again is just a phone call away to Greenberg Health. Work with a reputable and highly regarded HRT clinic. The center should have a proven successful track record and work with only the best professionals and real, top quality medications. The clinic should require testing. This is to ensure that you are dealing with a growth hormone deficiency. It will also tell doctors what your prescription should be. Our clinical advisors set your appointment up for you. You will visit a local clinic in your city and they will do a blood test and a physical exam. We also require you to fill out a medical history form, but this is done on our website and sent directly to us through a secured connection online. Doctors should all be fully trained and licensed in the field of endocrinology. If they are not endocrinologists, they should be practicing in a closely related medical realm. Clinical advisors should be professional, skilled and compassionate. They should understand what people go through when they lose hormones and their bodies change. People often call Greenberg Health feeling quite low because their energy is non-existent and their bodies are full of aches and pains, low sexual libido, anxiety and depression. There are many other symptoms (as listed above) and prospective patients are usually not in the best mindset when they reach out to us. This is why it is extra important for advisors to be understanding and knowledgeable as to how to teach clients about HRT. Licensed doctors must provide full medical supervision throughout therapy. This way if any problems do occur or negative side effects are noticed, they can be taken care of right away with a simple adjustment in medication dosage. Clinical advisors should be readily available for all of their patients during normal business hours. This way issues, questions or concerns can be taken care of immediately. In some cases, patients just want to share their results or to receive some positive encouragement. Medications should all be 100 percent pure and real replicas of the 191 amino acid sequence that the body naturally produces. There should never be any bacterial residue in the vials of Saizen. This can occur when medication is cheaply made from non-known sources. 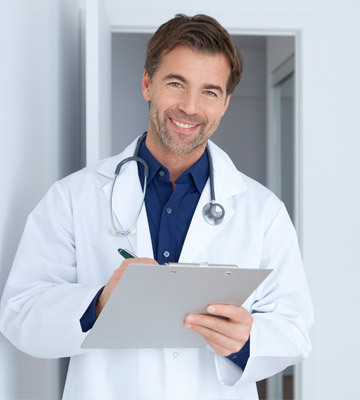 Medications like Saizen can only be completely trusted when working with a clinic that values their positive track record and their reputation for excellence. Never buy any medications expecting Saizen benefits from a clinic that you do not know or that is overseas or on the online black market. Never buy medications from unqualified professionals at all. These are all very easy and simple steps to follow when you are looking to become a part of a hormone replacement therapy program. Be smart about your health and never hold back from asking questions of the clinic you choose. For an example, the very first initial consultation with Greenberg Health is free. It is a time you are encouraged to learn everything about HRT and the benefits of Saizen. Feel free to ask all the questions you have because an educated consumer will always get the best results.